Metal Roof Warranty - Performance Roofing, Inc.Performance Roofing, Inc. The metal roofing systems installed by Performance Roofing provide years and years of reliable protection for your home and family. And our warranties provide protection for your roof while it is performing that important job. Our manufacturers warranty the metal roofs installed by Performance Roofing for periods of 15, 20, 25, 35, 40 years or even a limited lifetime warranty, depending on the style of roof and level of protection you choose. These are among the strongest and most comprehensive warranties available for metal roofing, and include coverage for coatings, against red rust and for wind resistance. 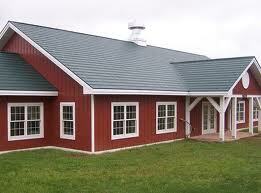 In addition to manufacturer warranties, you have our own Performance Roofing guarantee of workmanship quality. It is comforting to know that your New Hampshire roofing system and Maine roofing system is properly protected while it is protecting your home.